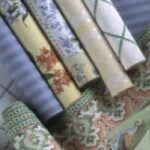 Wallpaper is the wall treatment of choice for many homeowners who want colorful patterns and textures on room walls without the hassle of special painting techniques. Wallpapering is a surface treatment that is relatively easy to apply and very durable. Wallpaper is so named because it usually is just paper, though in some cases it is made of sturdy vinyl. Vinyl wallpaper is well suited for use in kitchens and bathrooms because it is tougher than paper and resists moisture. 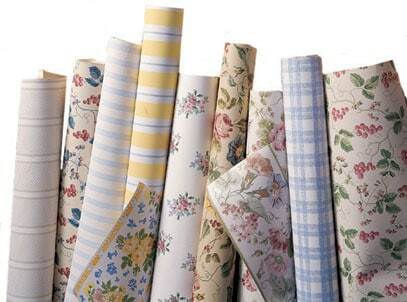 Vinyl may be laminated onto paper or cloth, or cloth can be vinyl-impregnated with a paper backing. Wallpaper is typically applied over an existing painted wall of drywall or plaster, or it may be applied over a lining coat of wallpaper, which hides imperfections. 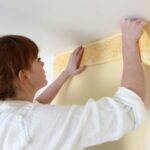 In this section of HomeTips, you will find a wealth of helpful information on choosing materials, preparing your walls, successfully applying wallpaper and other wall coverings, as well as how to maintain and repair them.